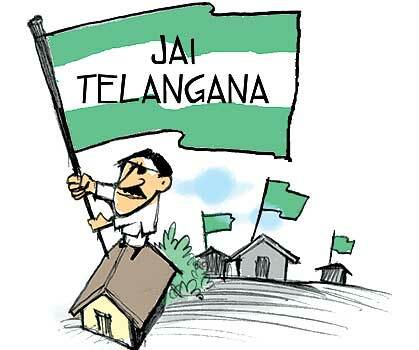 "At Home in Hyderabad": "Jai Telangana!!" 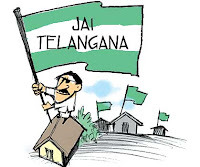 If there is any political "hot button" topic here in Hyderabad, it's the idea of creating (or, more accurately, "re-creating") the State of Telangana. In 1956, the Indian government combined two neighboring (Telangana and Andhra) states to form the current state we live in: "Andhra Pradesh" - or, "A.P." And it seems that nobody here has been happy with matters ever since! In the mid-1990's - there began anew a "Jai Telangana" political movement ("Jai" you find out pretty quickly here means "victory" - or, "hail! ")...and...because of the passionate political nature of the Indian people (from the time of Gandhiji on) - and the seriousness with which some of the Telangana faithful take this particular issue... things can get sometimes get a little ugly. From time-to-time, I ask our driver, Krishna, about the state of affairs in the Telangana movement and what's been happening lately. Two weeks ago, there were some important mid-term elections locally...the the newer of the Telangana political parties won big! I can't recall their name right now...I can just tell you that their color is "pink". Colors are really big here, polically speaking. Your party's color becomes like your badge. Someday I'll have to post a blog about the "Orange Guys". Hoo, boy...now they are some radical dudes!! 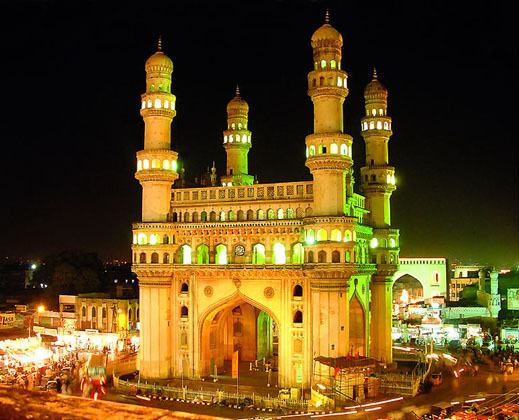 When Suzanne and I were planning our trip to Hyderabad (which was and would be the capital of the Telangana state) there was some rioting and curfews in the Old City. I followed what was going on pretty closely, Suzanne did not....but I must admit that for a short while the situation here was a little worrisome. Today while we were in the car, Krishna gave me a small paperback book: "Telangana State: Need of Revival" by noted social philosopher B.S. Ramulu. The power went off for a few hours today (this time for a legitimate reason...the utilities men were trimming tree branches from off of some overhead wires and they shut it all down! )...so I had time to read a lot of the little book. Krishna: "Sir, you read Telangana book?" Sir: "Yeah...well, most of it." Krishna: "You understand now Telangana?" Sir: "Well....yeah - I get it. Even Nehru and Dr. Ambedkar said that A.P. was a bad idea!" Sir: "And, you know, I think that I agree with them, too. Two states seems to me to be a better idea. I think for many reasons: water, language, many things. I mean - in 1956 you put Telangana together with Andra...and...and..."
Krishna: "Sir! Sir, what is "screwed" ? I said: "Never mind and forget I ever said it!! That's not a word you will learn in English class!!" Krishna just smiled: "O.K., Sir..."
15 August is the most historic day in Indian history as the nation celebrates its Independence Day. India will celebrate its 71st Independence Day on August 15, 2017. A Real Donnybrook In Church - Anglican style!